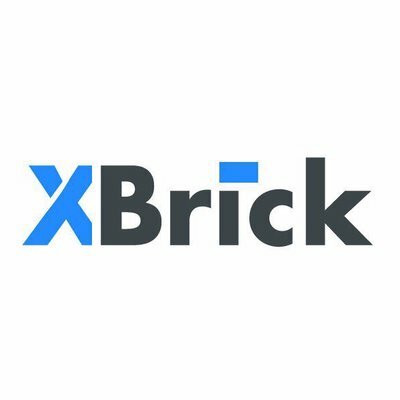 XBrick.io Exchange Starting it’s official Bounty Program to Get Community support to promote XBrick Exchange and Candy Program. 2: Get Your Referral Link (You need to use your referral link in every post, content) Using referral link will give you a chance to earn extra XBC Tokens. 3: At the time of Joining must make a post in this thread and confirim your joining. that post will be proof of authentication. and you'll be requred to give that post link in next steps. Reply to this thread and post your details and the bounty program you want to participate. Around 1 Million XBC will be Reserved for this Bounty Program. this Bounty Program will run for a maximum 14 days.. if we get Good results we can increase bounty program duration and Rewards. Like and Share Facebook Posts. 3. Every User must have at least 200 Active Friends. 4. Facebook account must be real and active. Fake, dead, inactive and bot accounts will not be accepted. 5. You must be an active and regular twitter user. 6: You Must Retweet in Overall Week. Doing all Required Tasks same day will not be accepted. 7. Reports must be submitted through Google forms posting the reports on this thread will get rejected. User With 1000 and more friends 5 points per week. Like and Retweet Twitter Posts. 1. Every User must follow official twitter account and retweet official posts 5 Times and Make Own Tweets About Project 3 times a week. 2. Every User must have at least 200 Active followers. 3.Twitter account must be real and active. Fake, dead, inactive and bot accounts will not be accepted. 5: Retweets and Tweets must be made on overall Week. making all of them the same day will not be accepted. You Must Submit Minimum 1 and Maximum 10 Reddit posts in a week. as many upvotes you get on your posts as much XBC Tokens you’ll earn. After 1 hour you can repeat the task again. You must Submit minimum 1 and maximum 10 LinkedIn posts per week. 1. Youtube channel must have minimum 200 subscribers and video must get minimum 70 views to get full reward. 2. Video must be original and at least 2 minutes long. 3: Must Add One Link of ICO Page. one link of Whitepaper and website in Video Description. 4. Low quality articles and videos will not be accepted. 5. Article and videos must be genuine. Copying other people?s content, articles or ripping off stuff is not allowed. 6. Articles Must be Longer than 500 Characters, less than 500 Characters will not be accepted. 7. Medium, Steemit, Newbium, and other general/free blogging platforms are allowed but only one post of a person will be accepted in those platforms. 9. Owners and Managers have at any time the right to change the rules and make any reasonable changes to this bounty (including the payment structure and amount). Also added Website, Whitepaper and Candy Program: https://i.xbrick.io/en/ Links to your Video Description. and add your Bitcointalk profile as well to prove your ownership. 1: Facebook, Twitter Account must have minimum 200 Friends and must be at least 3 month old. 2: Facebook, Twitter Accounts must be active and must be in regular use. 3: Inactive, dead, spamming and accounts made for only bounty hunting will not be accepted. 4: Reddit and LinkedIn Accounts Must be 3 month old. 5: Youtube Video must receive at least 100 views to qualify for payment. videos with less then 100 views will not be accepted. 6: Steemit and Medium Accounts must be original and must have at least 50 followers. 7: Writing Articles in other languages is allowed. 8: one steemit and one medium account can only participate one time. 9: Premium websites and blogs can participate 3 times. 10: Every User must make a post in bitcointalk as proof of authentication. without proof of authentication accounts won’t be accepted.